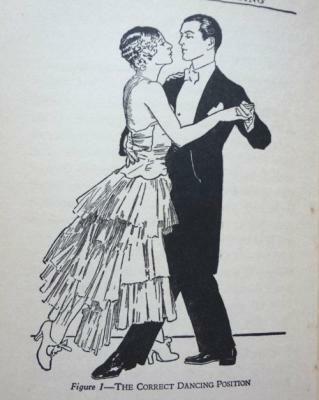 Learn the simple, elegant social dances of the 1920s & '30s. Beginners are welcome and the basic style is very beginner-friendly. 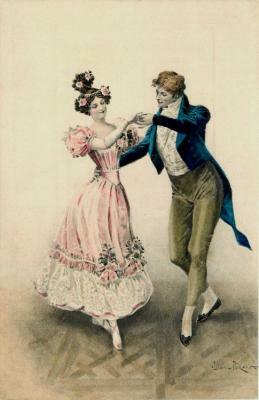 More advanced dancers can add historical flavor to their styling. 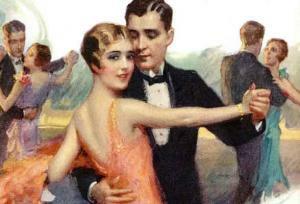 This class will help you prepare for the Avalon Ball in May, or any other Jazz Age dance event. Walter Nelson, the producer of the Avalon Ball will be your instructor, and clips from old movies, showing how it was actually done, will precede the "hands-on" instruction. You are encouraged, but not required, to wear comfortable "vintage" style attire. No partner required. The cost is $20, payable at the door. Instruction will focus on the Fox Trot, the most popular dance in the galaxy during the era, as it was danced in the Jazz Age (simpler and less structured than the modern Foxtrot). If time permits, the Tango and Waltz will also be addressed. 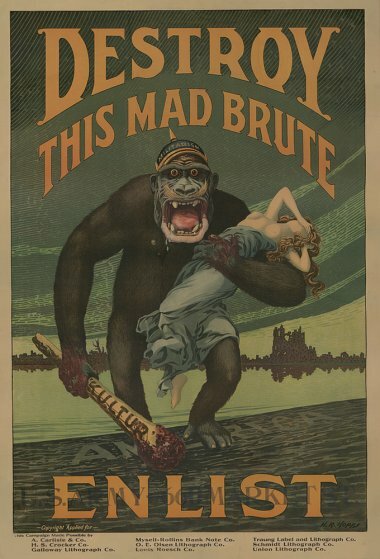 In the Roaring 20s, something new happened. "Nice girls" who were not professional performers, alone or with other girls, danced in front of the whole room. A Rant: Dancing at Roaring Twenties Events: We're Doing it Wrong (and Peabody isn't a thing). I generally try to keep my tone light, and avoid major rants online, but I think perhaps it’s time to go full curmudgeon regarding dancing at “Roaring Twenties” events. While we moderns do a moderately good job of recreating the dances of the Victorian era in a Victorian-themed event, or the Swing dances of the Swing era in a Swing-themed event, we are consistently terrible at presenting even a semblance of the actual dances of the Roaring Twenties at a Twenties-themed event. I don’t really care anyway. Roaring Twenties events that I have seen fall into a few general categories. In this sort of event, the women will often wear fringed flapper dresses, and might do a few Charleston steps (always solo), but the musical options are generally more of the electronic/hip-hop/electro-swing variety; and the general ambiance is more like that of a rave. Music is generally DJ driven. This is the default setting for organizations that don’t generally do historical themes (or care a fig about history), but want to capitalize on the “Great Gatsby” movie’s popularity. The Swing community has embraced the Twenties, but since many Swing dancers see the world through Lindy colored glasses, they put on their Jazz Age glad rags – and then just dance a standard Lindy, Shag or Balboa. They may toss in a Charleston, since it is congenial to a Swing approach to dancing, but they are generally fuzzy about the fact that anything but the Charleston was actually danced in the Twenties. The Twenties is essentially just a theme to superimpose on what they already do anyway.